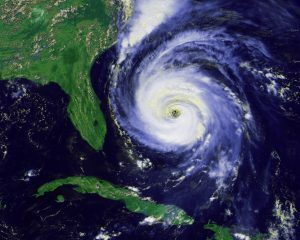 With hurricane season now underway, Florida condominium associations should take the time to ensure that they and their owners are prepared for a storm. In addition to ensuring that hurricane shutters are operational and all of the necessary supplies are on hand, associations should communicate with owners about insurance and liability under state law. Florida law requires associations to maintain insurance for all portions of the condominium property as originally installed in accordance with the original plans and specifications, as well as alterations or additions made to the condominium property. Personal property, including floor, wall and ceiling coverings (i.e., paint, wallpaper, wood flooring), electrical fixtures, appliances, water heaters, water filters, built-in cabinets and countertops, and window treatments including curtains, drapes, blinds, and similar window treatment components, located within a unit or that unit’s limited common elements, and which serve only that unit, are not covered by the association’s insurance policies. Unit owners are responsible for maintaining their own insurance coverage for these items. At the start of every hurricane season, association board members or property management should photograph and/or video all of the main public areas of the condominium property. These images could become vitally important in the event that a storm strikes and claims are filed. Associations should also take the time to store copies of their wind, flood and property insurance policies in waterproof cases in a secure location. If possible, digital copies should also be stored in several computers and devices.